Traveling in the Philippines, I am sad to admit, is very complicated. There is no standard tourist route. Inter-island connections between our 7100 islands are sub-optimal. Most of the time tourists need to go to Manila to get a flight to their next destination. So, if you have only 3 weeks, you would only have time to see about 3 places. So, I made a list of places you shouldn't miss. I grouped them into "1-week travel clusters" grouping places near each other (near meaning a few hours drive, bus or boat ride). Cluster 1. Banaue and Sagada- I would recommend to visit Banaue and Sagada on the first week of your travel simply because it is too depressing to go to the cold and foggy mountains after being on the beach. These two places are solidly in my must see places in the Philippines. Offering a glimpse into our prehispanic culture, Banaue and Sagada's mystic ethnic appeal is a good way to put your visit to the Philippines in a proper context. Banaue is 10 hours from Manila and Sagada is a 3-hour bus ride from Banaue through a hellish and narrow zig-zag road (this is all part of the fun). 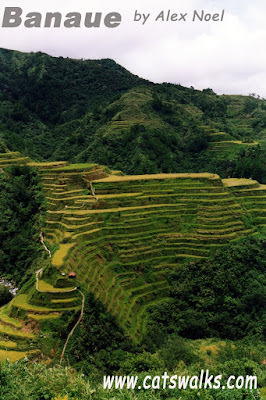 Three days in Banaue should give you enough time to hike to Batad (where the terraces are the most beautiful), shop for souvenirs, and have a general feel for the culture. Three days in Sagada should give you enough time to visit the caves, hanging coffins, and hike through the forests. www.visitsagada.com and www.visitbanaue.com give good overviews about traveling to Sagada and Banaue. Cluster 2. Puerto Princessa-Sabang Underground River-Roxas-El nido-Coron- (or the other way around=)-- This is a two week travel cluster. Called the last frontier of the Philippines, Palawan offers stunning beaches, great diving and snorkeling, and exotic natural formations. I have to admit that I have not been to all the places in this cluster because my vacation is never long enough but it is definely in my list. I was fortunate to visit Coron this year and it is one of the most beautiful places I have ever seen. Nothing can compare to swimming in the clear waters of Coron island's brackish water lakes. 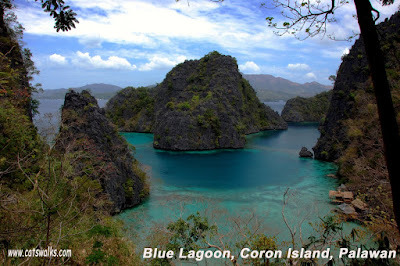 From Coron it is possible to go to El nido by boat (6-8 hours). I have not been to El nido but I can only imagine the majesty of its limestone archipelago. From El nido, you can proceed to Sabang to visit the Underground River. From there, Honda bay near Puerto Princessa is near. This tour will take time. Planning is essential. Cluster 3. Boracay - Though getting a little too developed for moi, Boracay still got its charms. It still has the finest sand I have ever stepped on. Perfect way to relax and lie on the beach and get a massage after your Palawan adventure. Best to avoid between March-May due to overcrowding. One good thing about mass tourism is it also increases your choice of restaurants. Getting good food is not a problem in Boracay. Cluster 4. Bohol - I will always remember Bohol for being the only place on earth where my mom exclaimed "It's nice here!". I have taken her to a lot of places (she comes with us to most of our Philippine travel and we have also been abroad (Austria, Switzerland etc.) together but I have never ever heard her say "It's nice" before. Bohol has everything, white sand beaches (alona, doljo beaches etc), nature (chocolate hills, Loboc River), diving, and exotic animals (tarsier). If you have time for only 1 place then you should go to Bohol. Cluster 5. 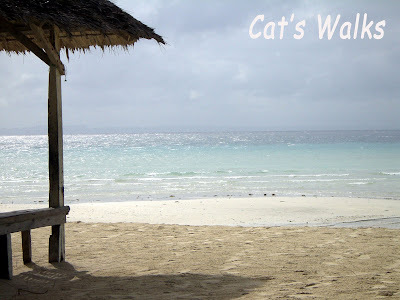 Cebu-bantayan-Malapascua - Bantayan is 4-5 hours by bus from Cebu City. 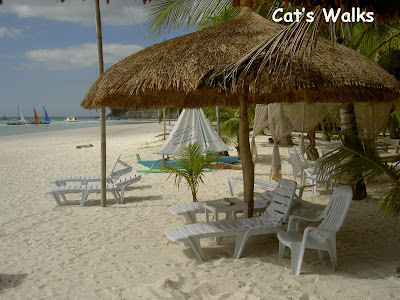 Bantayan and Malaspacua both fit the definition of a typical island paradise to the letter. 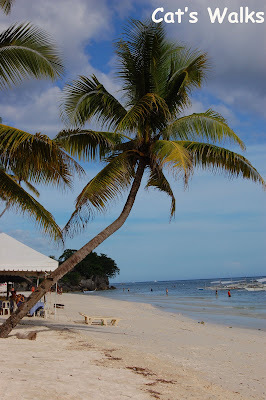 Fine white sand, diving, palm trees, nipa huts. Bantayan is more laid back. I guess that would be how Boracay would be without the tourists. If you are tired of the quiet and have read all the books that you took with you then take a boat (2 hours) to Malapascua. This small island has more entertainment, maybe even too much. Cluster 6. Legaspi-Donsol - One should not miss Donsol and it's whalesharks. Donsol is a 12-hour drive from Manila. Although it is far from any other tourist spot, Donsol is definely a place worth visiting. En route, you should see the Philippine's most active (and beautiful) volcano in the backdrop. Wow! Andami mo ng napuntahan!. I've never been to Palawan, Bagada, Bohol, and Donsol. Pero one place I really want to see is El Nido. Grabe sa pictures pa alng wala ng sinabi ang boracay. It would be like having a vacation Lord of the Rings style!!! About the ad,I see you joined nuffnang, there is a tutorial in their site on how to post the ad between posts. It is pretty simple. I have not visited batanes but I do intend to one day. Thanks for the comment! Thanks Cathy for the awesome tips. I will be going back to Cebu after 21 yrs. in the US. I will definitely check those places out.